Before diving into this tutorial, if you are new to Android RecyclerView read how to use Android RecyclerView and how to customize it. If you look at the code above, you’ll notice some differences between the RecyclerView and ListView. RecyclerView requires a layout manager. This component positions item views inside the row and determines when it is time to recycle the views. The library provides a default layout manager called LinearLayoutManager. The CardView UI component shows information inside cards. We can customize its corners, the elevation and so on. We want to use this component to show contact information. 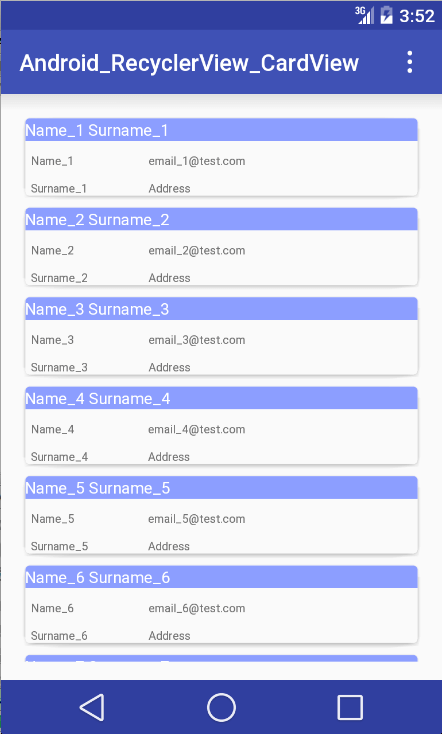 These cards will be the rows of RecyclerView and we will see later how to integrate these two components. In our implementation, we override onBindViewHolder where we bind the data (our contact info) to the Views. Notice that we don’t look up UI components but simply use the references stored in our ContactViewHolder. In onCreateViewHolder, we return our ContactViewHolderinflating the row layout (the CardView in our case). This post was originally published on Binpress. 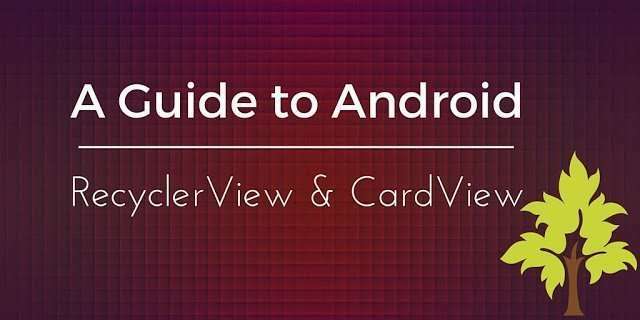 At the end of this post, you hopefully gained the knowledge about how to integrate Android RecyclerView and CardView. I use a simple layout in my app (link here: https://play.google.com/store/apps/details?id=com.lb.app_manager ) for cards, and one of the features of my app is to have multiple themes: light-cards, dark-cards, light, and dark . I don't use CardView. Do you suggest using it? If so, what would be the advantages of using it? Thanks, this article was super helpful!